ARRA News Service: Wall Street to Main Street . 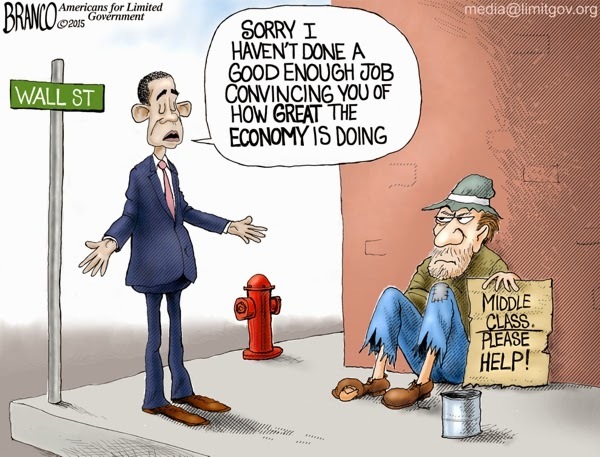 . .
Wall Street to Main Street . . .
. . . Obama’s crony economic policy isn't helping the middle class or the little guy. Tags: editorial cartoon, AF Branco, Wall Street, to Main Street, President Obama's, crony policy, hurting, middle class, little guy To share or post to your site, click on "Post Link". Please mention / link to the ARRA News Service. and "Like" Facebook Page - Thanks!